I was watching a remarkable display of 'hand-to-hand balancing' the other day, which is a form of gymnastics involving seemingly impossible postural holds. 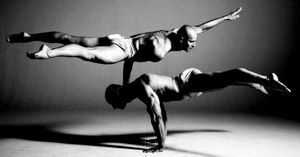 The performers seemed to defy gravity with the incredible structural strength of their bodies - a result of phenomenal postural development and control. This got me thinking about why a similar kind of postural development in the horse is so important in helping the horse to carry a rider without being harmed by our weight and encumbrance on their back. The horse did not evolve to carry a human on his back. Instead, he developed a large trunk for the organ-space necessary for his survival. The ribcage houses a huge lung and heart capacity to provide for speed, endurance and stamina. The incredibly long digestive tract permits a super-efficient absorption of the nutrients from the sparse grazing of the wild horse's indigenous habitat. At either end of this trunk, the horse's limbs have evolved the length necessary for speed. The relatively flexible spine is thought to have favored the horse's survival by allowing him to turn at speed, unlike cows whose rigid spine only permits speed in straight lines. 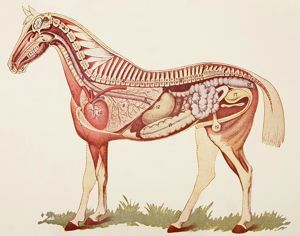 This is a very basic summary of the horse's functional anatomy, but the important point for riding is that when we sit on the horse's back, we are weighing down this large trunk portion of the horse's body where it has no direct support from underneath (the limbs being out in front and behind). 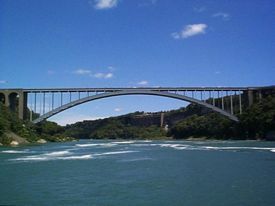 What naturally happens is that, like a bridge which is too weak for its load, it sags in the middle. We refer to this in the horse as him 'hollowing' his back, and it goes along with a raised, or 'inverted' head carriage and a forward tilted pelvis. Of course the horse's vertebral column is supported by an immense network of ligaments, tendons and muscles, which make it seem sufficiently solid to carry us with ease, but this support is still not strong enough, naturally, to resist the hollowing in the horse's spine due to the rider's weight, which can easily cause damaging compression of the vertebrae. We may attempt to disguise the hollowness of the horse's spine when we ride by using the bit to make the most obvious part of it - the neck - come round, but this does nothing to help prevent the back from sagging under our weight, and it actually puts the spine under even more strain. Unfortunately this is a common scenario in modern dressage, where temporary appearances have more value than the horse's healthy working lifespan. So how can we strengthen the bridge of the horse's body to make it fit for our weight? The key is in the postural muscles. Just as gymnasts use phenomenal core strength to give their body a cohesive structure that defies the way the forces of gravity normally act on the human body, we must strengthen the horse in a similar way, in order to form a solid bridge which spans the gap between the support of his limbs. This is the irrefutable relevance of the ring of postural engagement to ALL riding disciplines, not just dressage. When the horse engages his abdominal core, it causes his pelvis to tuck under (or 'sit'), which in turn flexes his spine, causing it to lift up under the rider, and thus protecting the vertebrae from compression. Because the pelvis is tucking under more, the hind-legs step further under the horse's body mass, also helping to support the weight of the rider. The knock-on effect of this flexing of the spine is that the horse rounds his neck, and in this way both 'ends' of the spine are brought downwards, helping the middle (where we sit) to became tensile in the same way as an archer's strung bow. When the spine has this tensile quality, it is capable not only of supporting our weight much better, but also of transmitting the full power generated by the haunches through towards the contact, thus channeling and amplifying the movement. 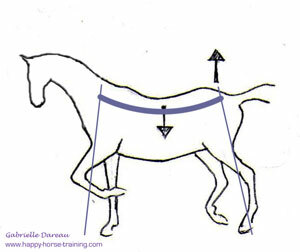 This is the basic postural bridge dynamic, which can be initiated as a low stretching parabola in any kind of riding work - even over long distances such as in Endurance riding. However, if we train a horse specifically in this postural engagement, a wonderful transformation is set in motion whereby the increasing postural strength of the 'ring' of postural muscles causes the haunches to gradually lower more and more over time. This slowly cantilevers the forehand upwards, making the horse become increasingly elevated and light in front, which makes him more maneuverable and powerful under a rider. If we turn this image of bridging across a span with postural strength on its side, then we have the bend (left-hand drawing in this illustration). 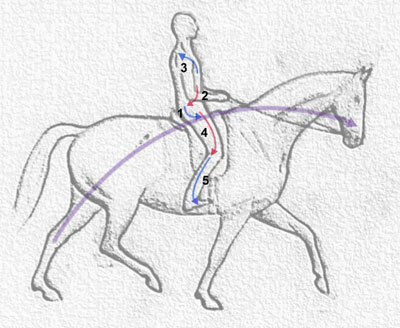 In order for the horse to travel round a turn with his whole body remaining on the alignment of that curve, he must carry his body through a void, because it has to perpetually bridge the gap between the positioning of the haunches and forehand which flex IN on the circle, while the ribcage flexes OUT. 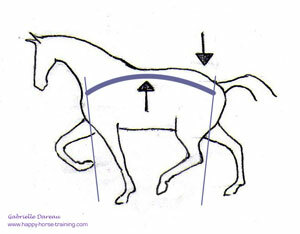 This is why, when a horse turns in his natural way (right-hand drawing above), he pushes the ribcage in towards the centre of the circle, in order to bridge the gap. Of course, this is not aligned with the direction of movement, and it creates strong unbalanced forces for the rider. 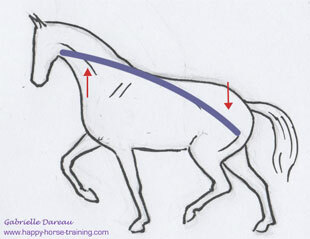 Again, it is our job to help the horse build up the postural strength to be able to bridge the gap of the bend. How do we go about building these postural bridges in the horse? Firstly, we can start building both of these forms of postural strength in the horse by good gymnastic lunging work that encourages balanced movement, with consistent longitudinal stretching and bending. 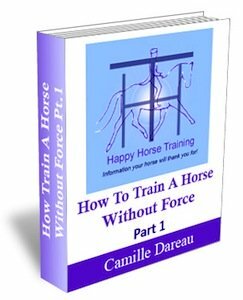 See Lunging a Horse Well: the best foundation for training. When riding, we build the horses postural bridges by learning how to create them in our own body, and using them to connect to the horse's movement in a particular way. To generate the horse's abdominal engagement, we must engage our own core muscles in order to put leverage into our seat, which literally draws the horse's hind-legs under his body more, allowing the pelvis to tuck and the abdominal bridge to operate. To encourage the horse to form the postural bridge that allows him to carry his body around the bend, the rider must develop a pillar-like stretch down the inside of their body, helped by the oblique abdominal muscles, in order to provide a support for the horse to bend around until he has developed his own inner postural strength for bending. See How to Ride Dressage… Real Dressage! for more about the rider's formation of their body. The principle of building inner strength as opposed to providing external support applies to many aspects of horse keeping, but one of the most pertinent is hoof care. When we use a metal shoe to protect and support the horse's hoof externally, we actually end up weakening the inner structures. These structures developed, during millions of years of evolution, to perfectly support the horse's skeleton and its interaction with the ground, and this challenging job can never be replaced by something as crude as a shoe. Shoeing comes from the same mistaken principle as trying to support the horse's balance with the use of the bit, instead of with inner postural engagement. 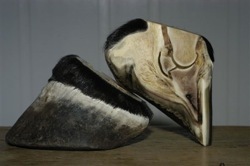 When we allow the hoof to function as it is meant to, supporting it with good diet, lifestyle and trimming (just as we support the horse's postural engagement with our riding) then the whole mechanism of the healthy hoof is stimulated - good blood circulation, nerve stimulation, healthy horn growth, correct suspensory system. This, in turn, strengthens the inner structures, such as the digital cushion, which give support to the whole hoof. See if you can engage your own inner bridge of postural support when riding. Remember there are two dimensions to it - the longitudinal bridge, which helps the horse to lift his back, tuck his pelvis and engage his own abdominal muscles, and the lateral bridge, which helps the horse to carry himself around curved lines by means of correct bending. NB. It is important to make sure you are sitting on the back of your seat-bones for this exercise, with a tucked pelvis, otherwise you cannot connect with the movement in the necessary way to have a postural effect on it. 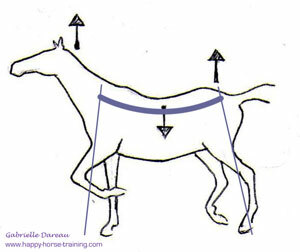 As your horse is walking along on a loose rein, concentrate on the movement of your abdomen - essentially the gap between the front of your pelvis and your ribcage. See if you can feel how it alternately stretches more open, and then briefly 'closes' and pulls back each stride, as a result of the horse's hind-legs swinging under and then pushing off. Gradually engage your abdominal muscles so that you are preventing your abdomen from stretching open at the point in the stride when it would naturally do so, and then connecting and holding into the moment when your abdomen naturally tucks back. 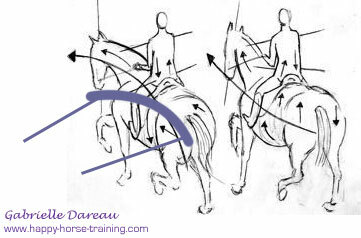 If you master this interactive postural engagement with the horse's movement, do you notice any reaction from the horse? Usually, depending on how responsive an individual horse is, he will slow down - lingering more on the hind-legs, and drop his head into a longitudinal stretch, simultaneously lifting his back. This use of the seat, however subtle it may initially seem, is the key to your postural connection with the horse, and how you can help him strengthen his ring of engagement. In walk, turn your horse on a circle. Look down at the pommel of the saddle for a moment, and notice how it moves from side to side in relation to the horse's withers, taking you along with it. Now focus especially on the moment when the saddle is pushed outwards (this is when the inside hind-leg is pushing off). See if you can use your postural stretch down into the inside seatbone and stirrup to RESIST this outward roll when it happens during each stride. This is the key to establishing your postural pillar which will help the horse to be able to bend AROUND it, and form his own bending bridge. 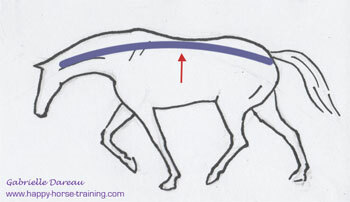 If you manage to form this postural pillar down the inside, how does your horse react? Many horses will fall in on the circle in an attempt to make your pillar bend, so that their natural way of bending can be reinstated. In this case, you must make sure to maintain your postural stretch and weighting down the inside, and use massaging inside leg aids to help the horse's ribcage to flex around your pillar. 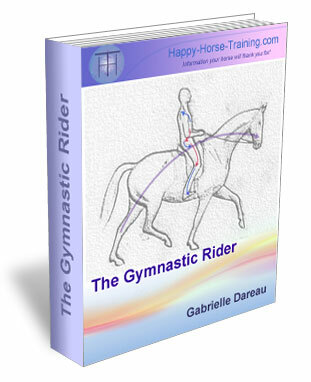 For a comprehensive explanation of this way of riding see the details of HHT's new eBook, The Gymnastic Rider, via the link below. See and share topical news, info and photo's on the Happy Horse Training Facebook group. Once you join you can take part in lively disscusion on subjects relevant to holistic equitation, and make friends with like-minded people all over the world. If you enjoy Happy Horse Training and you find the information on the site useful, please help us to share it by clicking on the Facebook 'like' and 'share' buttons (if you have a fb account) that are on each page. Any other way you can pass the site on to friends and colleagues via, for example, discussion forums, is of course also greatly appreciated. The equestrian world is one dominated by traditionalist ideas and conventions, but we like to think we can help inform the growing minority of horse-owners who want to make their horses happier with progressive and holistic methods.